From tourism, to sports, to an entrepreneurial spirit reaching beyond the north, Grande Prairie’s business community is highly innovative and fast paced, making it one of the most entrepreneurial cities in Canada. Roselle leads the incredible team at the Entrepreneur Centre in Grande Prairie , she is obsessed with the customer experience and loves finding ways to challenge the status quo when it comes to banking. As an Entrepreneur herself, Roselle appreciates taking time out to celebrate wins and finding perseverance through tough times. Finding ways to ways to make banking work for people is what Roselle does best! Ricardo is passionate about assisting entrepreneurs to start and grow their business. 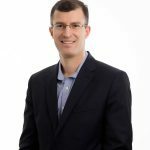 He is a past business owner of a management consulting business where he offered business plan writing services and of a residential painting franchise where he managed a few employees. Entrepreneurship is rewarding but can be daunting sometimes, and Ricardo uses his business knowledge, connections and experience to help you get to a good start and/or to move your business forward. Fun fact: Ricardo likes to practice sports (he has won a few medals), volunteer for the community, travel and listen to podcasts and audio books. He is fluent in English and Spanish. Visit Ricardo on his LinkedIn page. 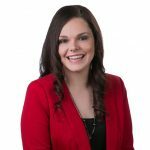 Ashley prides herself on being a problem solver, asking a lot of questions in order to find unique personalized solutions for her clients. 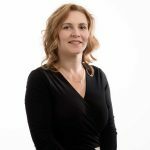 With 10 years of experience at ATB, she has built relationships in all areas of banking. Committed to doing the right thing, Ashley listens to client’s needs in order to make banking work for people in the simplest way possible. Fun Fact: Ashley celebrates her wedding anniversary every 4 years having been married on a leap year. She loves spending time with her two sons and her husband who she met when she was a Grande Prairie Air Cadet (Squadron 577). She loves music, snapchat and knows how to play the flute. 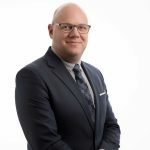 With a background in business and personal banking Dallas listens to understand an entrepreneurs entire story allowing him to provide the best advice and solutions to bring happiness to his clients. Fun Fact: Dallas enjoys competitive swimming, spending time at his family’s cabin and travelling. Working with ATB for 10 years, Apryl is passionate about making banking work for people. Apryl works closely with our sales team in Lethbridge and Grande Prairie to deliver a memorable customer experience. Fun Fact: Apryl enjoys spending her time in the mountains and learning about people, awareness, meditation and Reiki. She also has two cats and is an avid animal lover. As the Community Manager, Nicole organizes and schedules all of the events and workshops at the Centre. 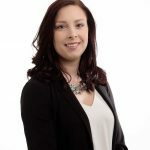 She is our connector to community partners and experts in the Edmonton and Grande Prairie entrepreneurial ecosystems and also manages our marketing. Nicole is passionate about helping entrepreneurs and continually strives to push the limits of what we can accomplish at the Centre. Fun Fact: Nicole is a mom, dog lover, wine lover, connector and marketer – not necessarily in that order.